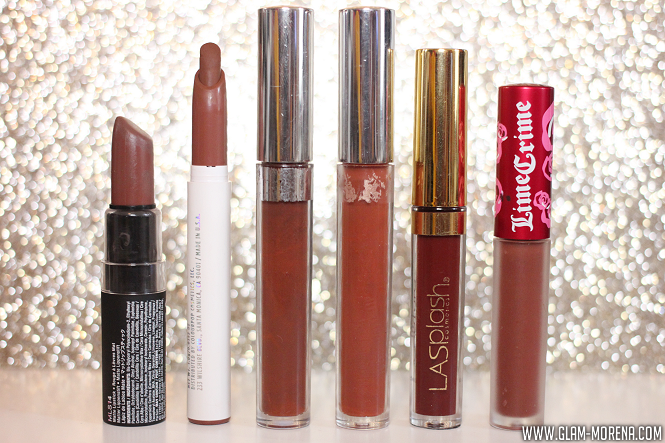 Glam Morena: My Top 6 Favorite Brown Lipsticks. 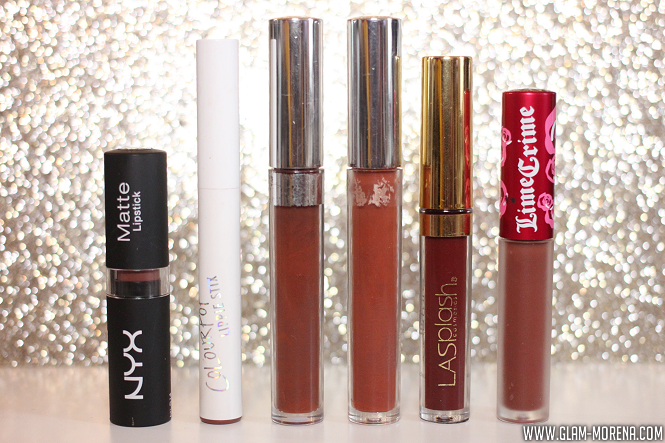 My Top 6 Favorite Brown Lipsticks. 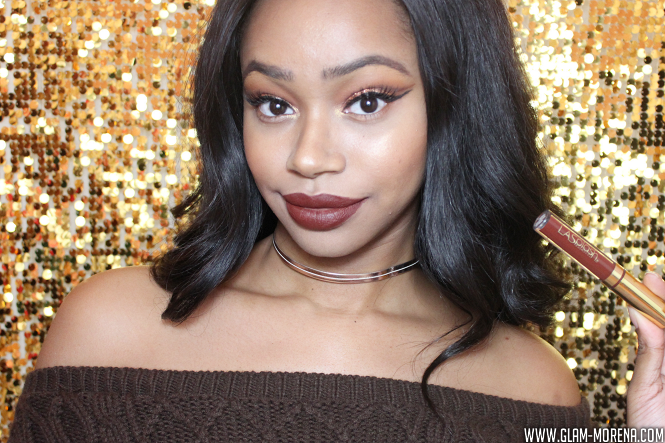 I love a good brown lipstick, but I especially love one during the Fall season. 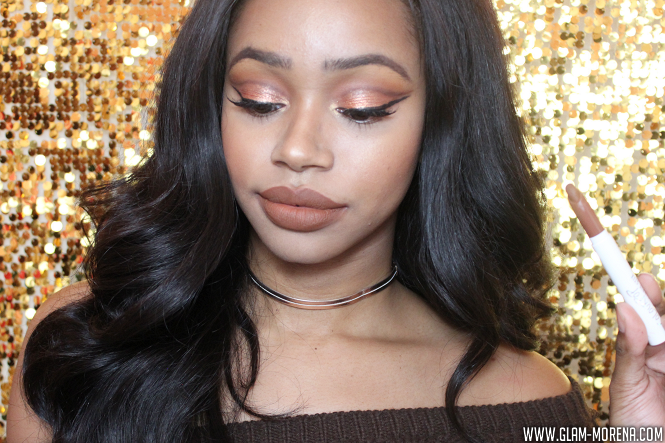 I own a huge variety of brown lipsticks and I thought it would be a great idea to share my top favorite shades. All of these lipsticks range from $5 to $20. There is a shade for every skin tone and at every price range. 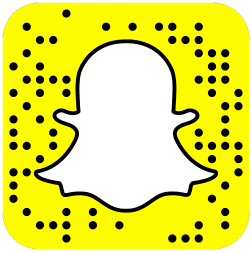 Be sure to keep scrolling to see what some of my favorites are! From left to right: NYX Matte Lipstick in Maison, ColourPop Lippie Stix in Hollywood Blvd, ColourPop Ultra Matte in Limbo, ColourPop Ultra Matte in Kae, LaSplash Lip Couture in Untamed, and Lime Crime Velvetine in Salem. 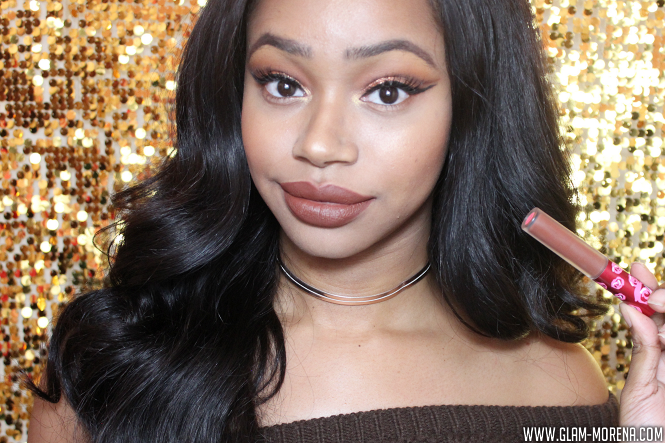 Be sure to watch the video to see live lip swatches of all My Favorite Brown Lipsticks! 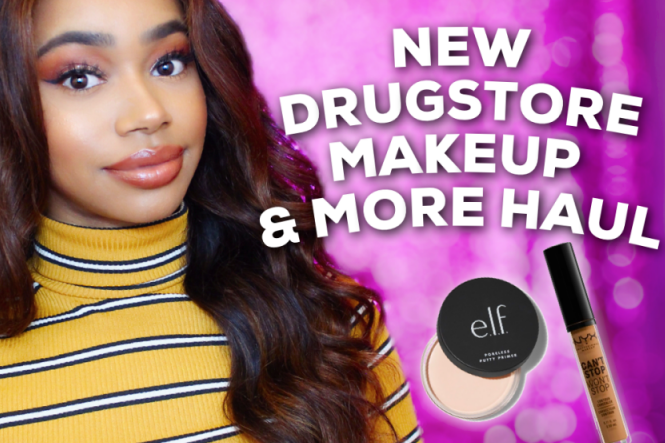 Swatches and shade comparisons of all the shades below! 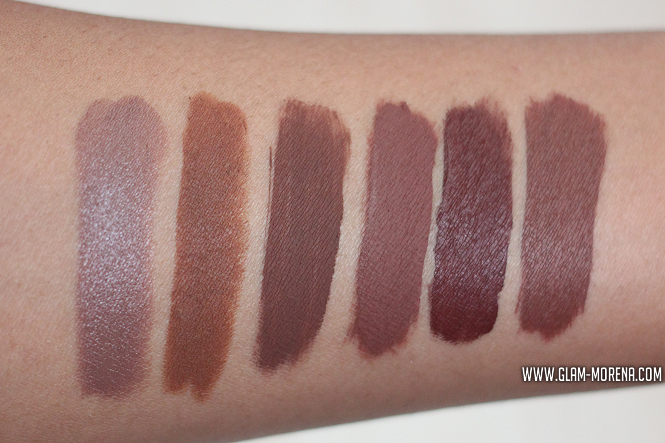 Swatches from left to right: NYX Matte Lipstick in Maison, ColourPop Lippie Stix in Hollywood Blvd, ColourPop Ultra Matte in Limbo, ColourPop Ultra Matte in Kae, LaSplash Lip Couture in Untamed, and Lime Crime Velvetine in Salem. 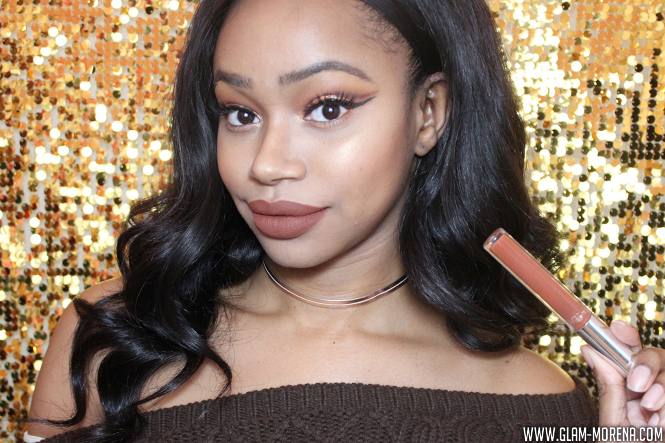 Lip Swatches of My Top 6 Favorite Brown Lipsticks! Lip swatch of NYX Matte Lipstick in Maison. Lip Swatch of ColourPop Lippie Stix in Hollywood Blvd. Lip Swatch of ColourPop Ultra Matte in Limbo. 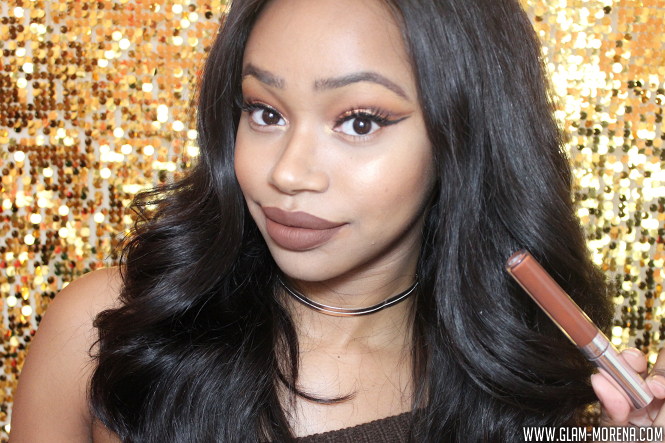 Lip Swatch of ColourPop Ultra Matte in Kae. Lip Swatch of LaSplash Lip Couture in Untamed. Lip Swatch of Lime Crime Velvetine in Salem. 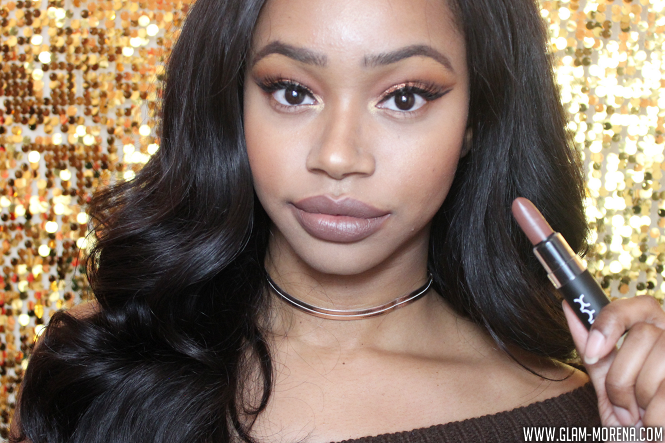 What is your top favorite brown lipstick?